The Camino Francés or French Way is the most famous of all the Camino de Santiago routes, featuring in many documentaries, books and movies such as ‘The Way‘ and ‘I’ll Push You’. 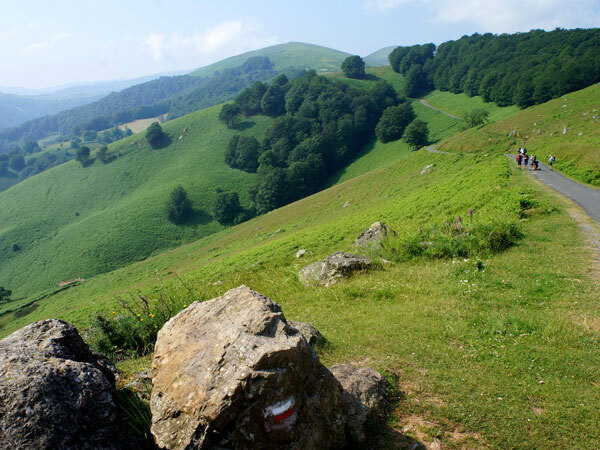 While St Jean Pied de Port marks the starting point of the Camino Francés, you can start your Camino from any town or city along the way. In fact, most pilgrims start their Camino journey from the town of Sarria, in Galicia, and walk the last 111kms to Santiago. 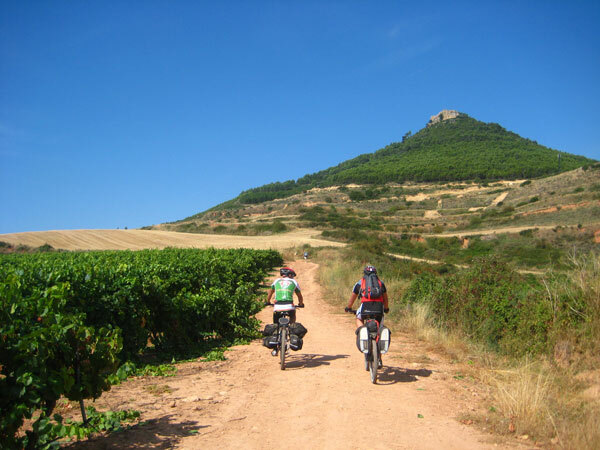 Contact our travel team to learn more about the Camino Frances. This is mainly because you will need to walk at least the last 100kms of the route (and stamp your pilgrim passport along the way!) in order to receive your Compostela pilgrim certificate in Santiago. 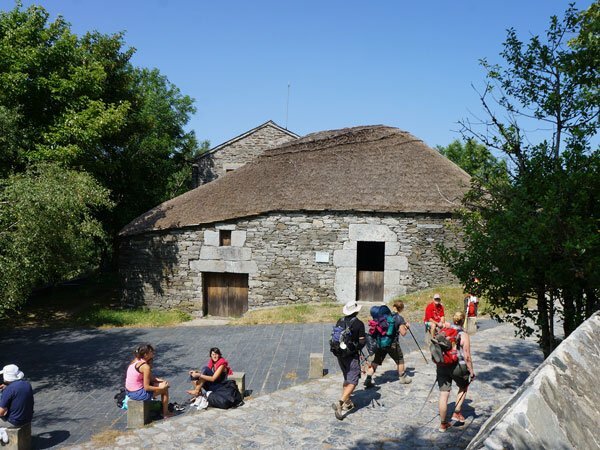 The last section of the Camino Francés from Sarria to Santiago is also the most social part of the route, where you will meet many fellow pilgrims and find the real spirit and camaraderie of the Camino! Discover beautiful cities and charming medieval towns. Stunning landscapes: From the Pyrenees and the vineyards of La Rioja to the vast open spaces of the Meseta and the rugged mountains of Leon and O Cebreiro. 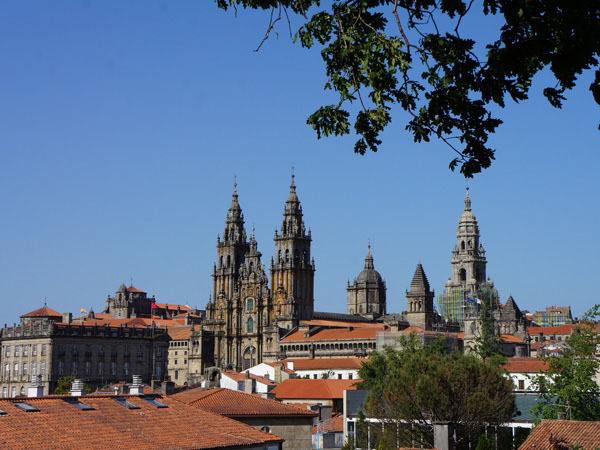 Explore the wonderful Old Town in Santiago de Compostela. You can walk the full length of the Camino Francés, 790km, in over a month (35 nights) or you can choose to walk different sections for a week or two at a time. Read more articles about the Camino Frances on our Camino blog or talk to our travel specialist for advice. 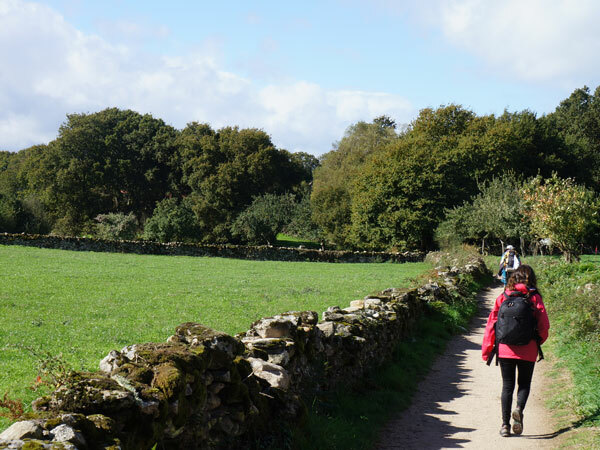 Please note, in order to get your Compostela pilgrim certificate in Santiago you will need to walk a minimum of 100kms into Santiago (we suggest you start in Sarria) or cycle at least the last 200kms of the route (we suggest you start in Ponferrada). 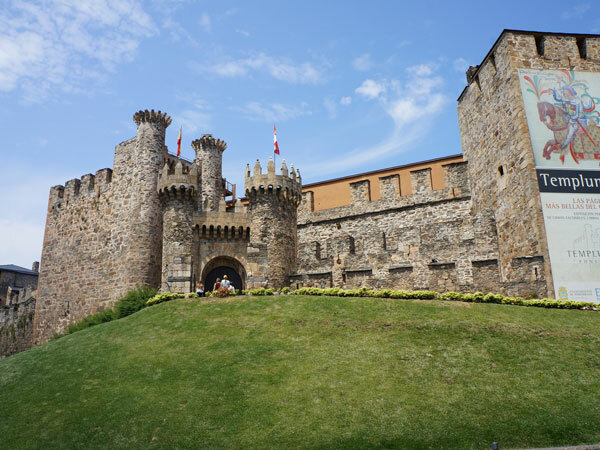 The Camino Francés follows an ancient pilgrim path across the North of the Iberian Peninsula, passing amazing cities and areas of natural beauty such as Pamplona, famous for its bull run; La Rioja wine region and its capital Logroño; Burgos with its magnificent cathedral; elegant Leon and Ponferrada with its Templars Castle. From Ponferrada, the Camino de Santiago enters Galicia through the mountains and picturesque village of O Cebreiro. 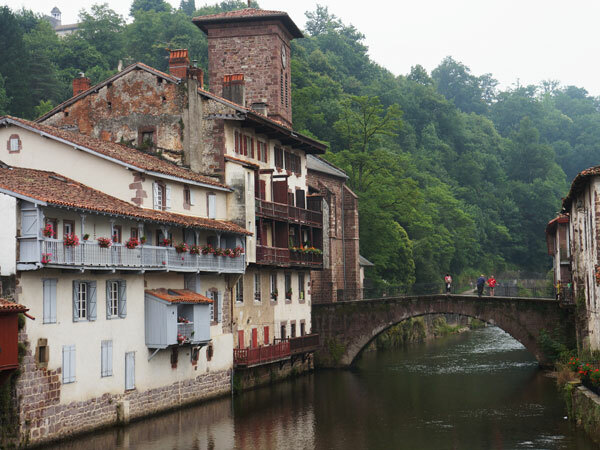 The gorgeous red and white town of St Jean Pied de Port is the starting point of the French Way. Over 20,000 pilgrims choose to start their ‘way’ to Santiago de Compostela in Saint Jean Pied each year, covering nearly 800km across the North of Spain. 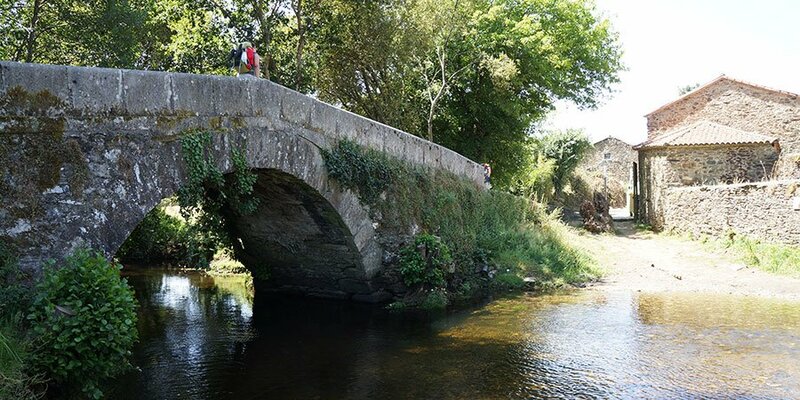 Many also choose to start their Camino from other points along the route, the most popular being Sarria; followed by the city of León and the picturesque mountain village of O Cebreiro. The Camino Frances is the most traditional of all the pilgrim routes to Santiago and the best known internationally. This is the Camino route featured in the famous movie ‘The Way’ starring Martin Sheen. The trail was established in the late 11th century thanks to the efforts of monarchs like Sancho III the Greater and Sancho Ramírez de Navarra y Aragón, as well as Alphonse VI and his successors, who looked after its construction and promotion. The main routes of the Camino in France and Spain were described in detail in the Codex Calixtinus, an essential reference work providing details of the pilgrimage dating back to the 12th centurye. Book V of the Codex Calixtinus is the first ever guidebook to the pilgrimage to Santiago. The book lists the different stretches of the Camino Frances from the lands of Gaul and offers detailed information on the sanctuaries to be found along the way, including notes on the hospitality, the people, food, natural springs, local customs, etc. The entire work is written clearly and succinctly, as a practical guide for the Medieval pilgrim heading to Santiago. This guide, attributed to the French cleric Aymeric Picaud, reveals the political and religious interest that lay behind promoting the sanctuary of Santiago de Compostela and making it easily accessible, yet it also bears testimony to the demand for this type of information. At the time of writing, the Camino Frances and the pilgrimages had reached their heyday. Santiago became a destination for pilgrims from the entire Christian world. This surge of pilgrims was so intense that it prompted a Moslem Ambassador to state that “the throng of worshippers who travel to Santiago and back is so great that there is almost no room left on the road leading to the west”. Over the centuries and due to political and religious turmoil in Europe, the Camino Francés route lost much of its influence. It was not until the end of the 19th century when interest in Saint James and the Camino experienced some resurgence. Interest continued to grow in the 20th century, with the progressive rediscovery, restoration and recovery of this ancient trail, greatly thanks to the work of Elias Valiña, the parish priest of O Cebreiro. The Camino de Santiago has been internationally recognised as one of the historical symbols of European unity. The pilgrim route was chosen as the first European Cultural Route by the Council of Europe in 1987. The Camino and the architecture along its routes are also listed as UNESCO World Heritage Sites. More about the history of the Camino de Santiago.